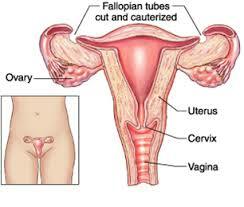 Tubal ligation is to women, as a vasectomy is to men. It is a permanent means of birth control. A medical term doctors and nurses may use for tubal ligation is “Female Sterilization Procedure.” Women make the decision not to have children, or in some cases to stop having children. In some cases, women follow the advice of getting a tubal ligation, for health reasons. Sometimes having children may put a woman’s health at risk. Therefore, having a tubal ligation protect women from high risk pregnancies, while giving them the option of not having to make other decisions, like getting an abortion. Does Tubal Ligation Surgery Require Hospitalization? Yes. In some cases, women who undergo a tubal ligation can stay in the hospital from 24 to 36 hours, following the procedure. However, this depends on several factors such as, the type of tubal ligation procedure, and whether or not there are present, after the procedure. If the surgery goes well the entire procedure may last up to 8 hours or less. How effective is Tubal Ligation in Preventing Pregnancy? If the surgery goes well, and there are no complications, the surgery is 100% effective against pregnancy. The doctor interrupts the natural flow of the egg into the uterus; thus, preventing it from connecting with the male sperm. When the female egg and male sperm connect, the result is pregnancy. Although, the tubal ligation does not prevent the monthly menstrual cycle, it does aid in blocking the sperms from entering the fallopian tubes. When is the Best Time to Get a Tubal Ligation? Most doctors will perform the procedure following the delivery of a child. This may be easier for most women. However, there are doctors that prefer to wait a few weeks, to see if the woman changes her mind. If not two small, incisions are made on the line following a c-section, or through the navel of women without undergoing a c-section.